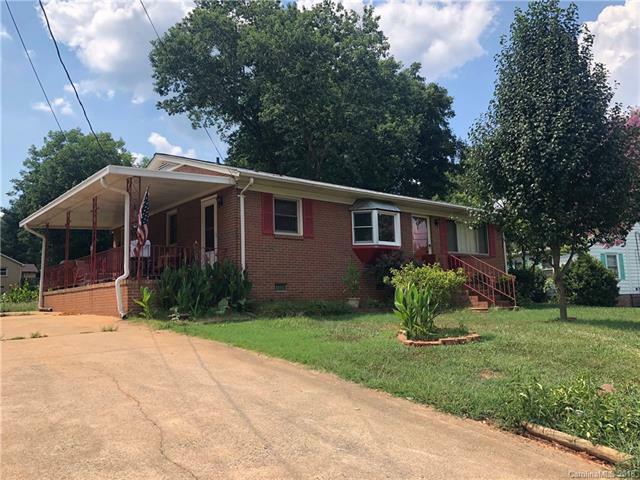 125 1st Street, Mount Holly, NC 28120 (#3410623) :: Robert Greene Real Estate, Inc.
Great opportunity just blocks from downtown Mount Holly! Efficient floor plan with 3 bedrooms and one full bath. Kitchen, eating area and living room flow nicely. Fenced yard with a nice side porch for rocking chairs. Plenty of space for parking in the driveway with convenient access. Per seller, there was a small fire in the middle bedroom; sheetrock has been removed and needs work. Great opportunity in an affordable price range so close to beautiful downtown Mount Holly, shopping, US National Whitewater Center and I-85/I-485! Sold by Evans Realty And Associates.